One night, curled up on my bed in Ethiopia, I watched Rise of the Guardians. And fell in love so bad that over the course of 10 days I watched the movie seven times. And then a few times afterward too as my service continued. So, of course, I had to read the books that inspired the movie. 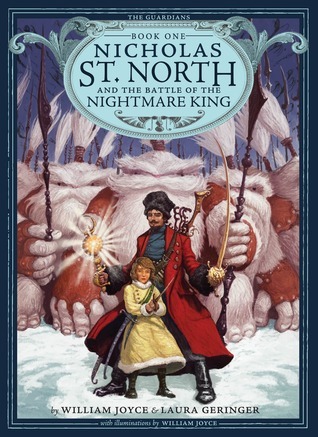 Joyce's Guardians series (of which Nicholas St. North and the Battle of the Nightmare King is the first of 5 so far) is a re-imaging of classic American figures. Which in this case focuses on Nicholas St. North, who becomes Santa Claus, and Pitch Black, who's the Boogyman and Nightmare King. Let's not forget the leader of the Guardians, the Man in the Moon, and the young girl Katherine (who many fans speculate to become Mother Goose). In this story Pitch Black, who has been trapped for many years, is accidentally released from his prison. He attacks the town of Santoff Claussen, run by the Atlantean wizard Ombric, but Pitch doesn't grab the children as he had wanted. The Man in the Moon then seeks out someone to help, the bandit king Nicholas St.North. Together with Ombric and Katherine, he sets out to defeat the Nightmare King. This is middle grade, so simple action and lots of I guess cliche/stereotypical things (the Lunar Lamas have moon faces and moon staffs) but I still really loved this because of Joyce's imagination. Getting into the back stories of myths like the Boogeyman and the Man in the Moon (who are aliens), and then other myths like the Easter Bunny, Tooth Fairy, Sandman, and Jack Frost in subsequent books, is amazing and creative. Plus, they're illustrated beautifully by Joyce. 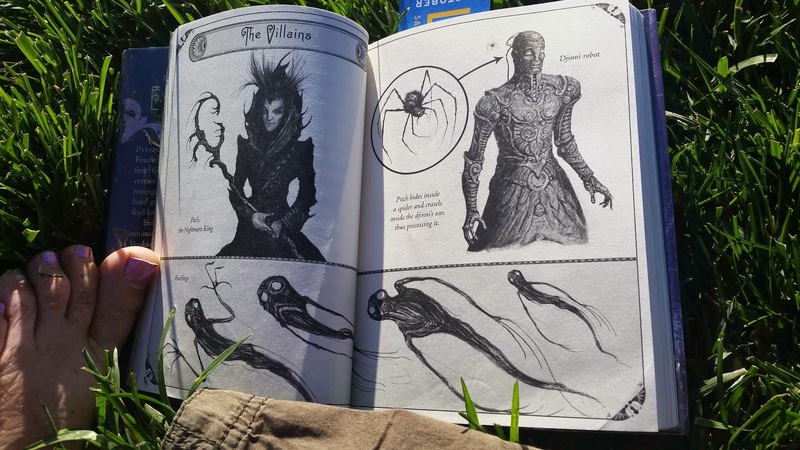 Why can't adult books have such pretty sketches?